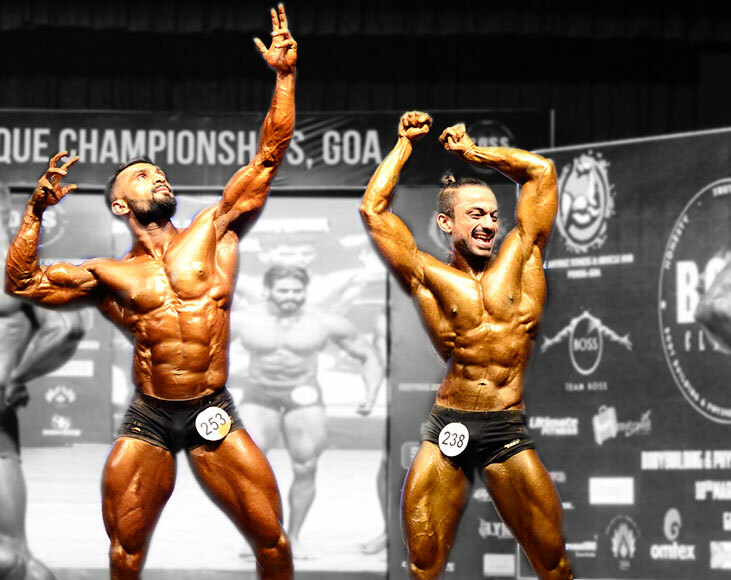 This category is geared towards a competitor, who yet doesn’t have the size to be competitive in Mens Physique, Classic Physique Or Body Building or doesn’t want to look like the above mentioned categories. This category is for the men, who like to maintain a Fit, Athletic or Underwear Model kind of a look. A look that can be maintained almost year around. 2. You need to have a pleasant overall balanced Physique – A strong emphasis will be given to this aspect. 3. You need to have clear and well defined abs. This will be marked favorably. However, the “Genetic” Make up of your abs will NOT GO AGAINST YOU. 4. You will be marked down significantly if you have a thick waist, especially if its protruding out (sticking out). 5. You will also be marked DOWN IF YOU ARE OVERLY MUSCULAR. 6. You will also be marked DOWN IF YOU ARE OVERLY VASCULAR. 7. Your Overall conditioning will also be marked favorably. However, if you are Overly Hard, YOU WILL BE MARKED DOWN. 8. Having nice Shoulders, Wide Back, Good Obliques, and balance will be marked favorably. 9. BACK WIDTH TO WAIST RATIO will be rewarded very favorably. 10. Your upper leg development will also be marked for scoring, since you will be posing in Swimming shorts, similar to Classic Physique shorts. 11. You will also be marked down, if you are too big. 3. In the Individual Posing Routine, you can do any kind of posing routine. However, we strongly recommend you NOT to hit any Body Building Poses, do any Flipping, Cart Wheels, Splits, Dancing or anything that is not usually seen at the International Level. 4. If you do something that looks really silly in Judges eyes, you WILL be marked down for that. 5. You will be judged at ALL TIMES WHEN YOU ARE ON STAGE. What this means, even if you are standing at the back of the stage, the judges WILL BE WATCHING YOU. If you slack off, do something silly or act plain lazy, you WILL BE MARKED DOWN. Our advice to you would be is, STAY SWITCHED ON AT ALL TIMES. 6. Please bring your Posing music in a CD & a USB. You will need to provide this to the backstage Marshalls, if you make it to the Final 6. 7. Your Individual Posing Routine WILL BE MARKED. 8. None of the 7 Compulsory body building poses are allowed. You will be marked down if you hit any of the body building poses. 9. Once the judges have finished comparisons, and tallied up the scores, you will be asked to leave the stage. 10. The official judging will conclude with this. 11. The Top 6 will be required to come back later on for the Medal Presentation. •	FACING THE JUDGES: When you come out on stage, and are facing the judges, you can either have your 1 hand on your hip, or you can have both hands pointing downwards. Make sure you spread your lats well and are facing the judges. A slight angle is acceptable. •	QUARTER TO THE RIGHT: Once the judges have finished judging you from the front, the Head Judge will call “QUARTER TURN TO THE RIGHT” – Once again, you can either have your 1 hand on your hip, or you can have both hands pointing downwards. Make sure you spread your lats well and are facing the judges to an extent. •	QUARTER TO THE RIGHT AGAIN (Back Towards The Judges): Once the judges have finished judging you from the front, the Head Judge will call “QUARTER TURN TO THE RIGHT” – Once again, you can either have your 1 hand on your hip, or you can have both hands pointing downwards. Make sure you spread your lats well and are facing the back of the stage. •	Posing Trunks for this category are your Swimming Shorts, same as the Classic Physique. •	You will be scored FAVORABLY on your grooming, hair style, facial presentation, and over all presentation. •	In this category, OVERALL LOOK and PRESENTATION ARE AS IMPORTANT AS THE PHYSIQUE.